Recently overhauled 44 100 on a test run with local train 20213. 44 127 and train 20170 near Tompson stop in the Iskar gorge. 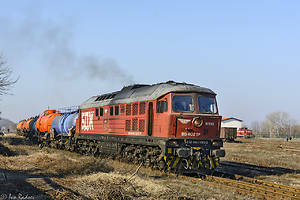 43 509 and 43 533 with freight train near Vakarel station. 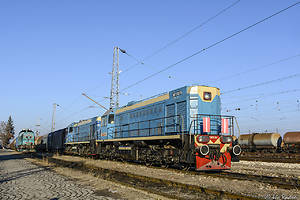 Dupnitsa, the kingdom of the ducks - class 61. 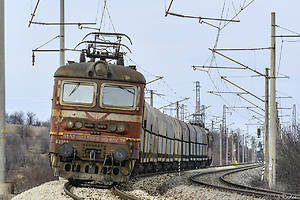 DMV's second Vectron on a container train near Voluyak station. 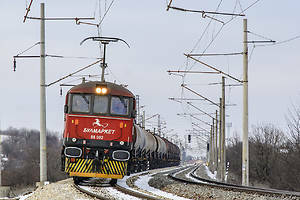 Freight train of PIMK Rail with DMV's Vectron. 07 065 is heading towards Stanyantsi mine to pick up a train.